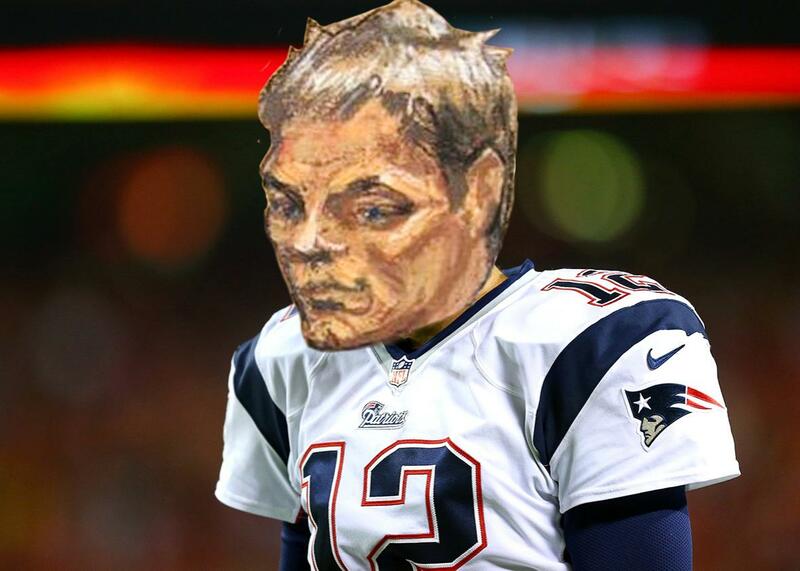 Tom Brady courtroom sketch: A unique take on his face. Photo illustration by Lisa Larson-Walker. Photo by Dilip Vishwanat/Getty Images. Tom Brady was in Manhattan federal court today discussing his legal dispute with the NFL over whether he should be suspended for deflating footballs. The courtroom sketch artist who drew him had an interesting interpretation of his appearance. The judge in the case asked questions of both sides’ representatives and added that it would likely be in their best interests to reach a negotiated settlement rather than continuing in litigation that could take years. I just interviewed the woman who made the Tom Brady courtroom sketch. "I don't tend to flatter people."